Coping with the tragic death of a loved one leaves friends and family members feeling shock, anger and intense grief. This type of sudden loss is overwhelming, especially if your family is also faced with a loss of income as a result. A surviving spouse, adult children, parents or personal representative of a victim who died or was killed as a result of the misconduct or negligence of another can file a lawsuit for wrongful death in the state of Utah. If you are unsure if you have a wrongful death case, it is important to contact an experienced wrongful death lawyer in Utah without delay. We understand that nothing can compensate for the devastating loss of your loved one. Our caring and experienced Catastrophic Accident Lawyers in Utah have the experience and resources to help your family seek justice by holding those responsible for your loss accountable and win the maximum compensation possible to help you rebuild your life. 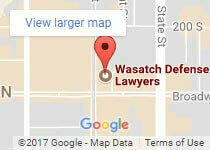 Contact Wasatch Defense Attorneys for your free, no-obligation case review at 801-845-3509. The definition of wrongful death under Utah Code section 78B-3-106 is defined as the death of an individual that is caused by the neglect or wrongful act of another. Legal action may be taken by the victim’s heirs or personal representatives for damages against the party or parties responsible. If the responsible person is employed by another person who was responsible for his or her conduct, then they can also be held liable. Who can File a Wrongful Death Claim in the State of Utah? Utah law presumes that one of the above-listed heirs will become the ‘presumptive personal representative‘. This position entails acting as the deceased individual’s personal representative. However, if the deceased created an estate plan naming a personal representative, he or she may also file a claim. A wrongful death claim filed in civil court by the deceased individual’s personal representative directly, even if there is already an open criminal case in connection with the death. The state of Utah’s statute of limitations for filing a wrongful death claim is within two years from the date of the victim’s death. The statute of limitations for claims against a government entity is within one year from the victim’s death. 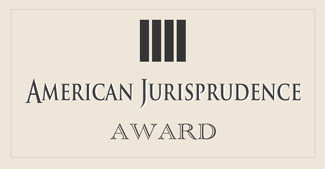 An award of punitive damages is awarded by the court as a punishment for the negligence or misconduct of the defendant(s). Wasatch Defense Attorneys understand that your family wants justice to hold the individual, employer or company accountable for their intentional or reckless actions that resulted in your loved one’s death. We also understand that you and your family deserve fair compensation to pay medical expenses, funeral expenses and to replace missed income. Give us a call today at 801-845-3509 today, we will work hard to build the strongest case possible for your wrongful death claim while you find hope and healing after your painful loss. We offer payment plans and are proud to extend discounts to members of the US Armed Forces.